There were a lot of great Super Bowl commercials this year, but none that had an impact on me like the trailer for Stranger Things season 2. In addition to feeling excited and concerned about things turning upside down, nerds were treated to another trailer for Guardians of the Galaxy 2 and Logan. I guess I am trying to get to the point that nerds have reached critical max in terms of pop culture saturation and it is absolutely grand. Doctor Aphra #4 - I continue to be blown away by this series and am so happy that they decided to give Dr. Aphra her own title. I really enjoyed her role (along with her two droids) in the Vader series and have really enjoyed learning more about the archaeologist. 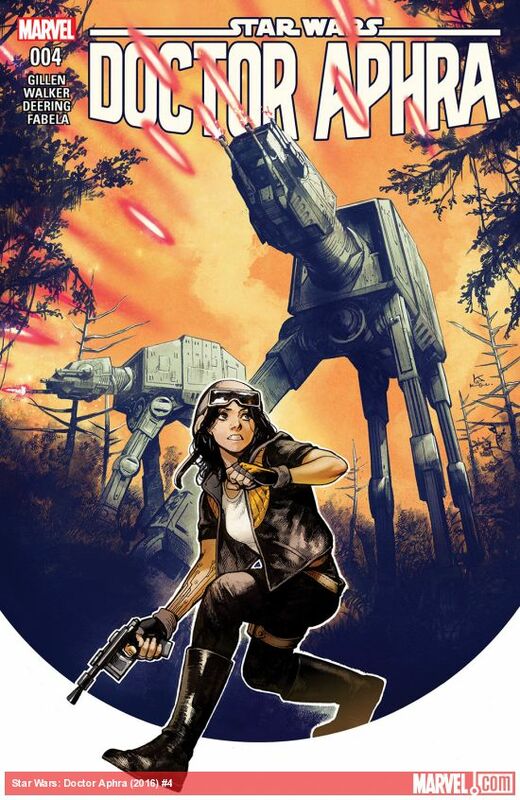 I have described this series as a cross between Indiana Jones and Star Wars and that was very apparent this issue as Aphra worked with her father in an attempt to find the Ordu Aspectu. The similarities even spill over into the contemptuous relationship between Aphra and her father and the sprinkle of humor that the droids provide is the icing on the cake. The best line from this issue was Triple-0 saying, "Yes, I agree. Being dead should slow them down." When you think about it, he isn't wrong. Birthright #22 - The intensity in the latest issue ramps up as Mastema, daughter of Lore, attempts seize control of the chaos that has been taking place as Lore controls Mikey. Understanding her role in the big picture provides a great context to what is happening with the other mages and why it is so critical to stop Lore and why she isn't concerned about Mikey's fate throughout this process. Clearly there is enough support for Mikey that it seems likely that we will be approaching a major battle in the next few issues. It sounds like Joshua Williamson has some big plans through issue #25 and I don't expect this series to slow down any time soon. Justice League of America: Rebirth #1 - Since it was a slow week in terms of books on my pull list I decided to give a new DC title a whirl. It seems that Killer Frost was the center force behind a major event that likely killed many humans and others in the wake of her actions. I will admit knowing little about her and nothing about what happened, but it looks like Batman is trying to build a team around her made up of humans with powers as she seeks redemption for her actions. While Batman trusts that she regrets her actions and is reformed, the other members for this team that Batman is gathering aren't as sure. Enlisting the help of Canary, Lobo, The Atom's Teaching Assistant (it seems he is missing), and The Ray, Batman is preparing for something big and feels that in order to regain the trust of the public, they need to be able to relate to the JLA and those trying to help. Solid first issue that will lead to me adding this to my pull list.